Peter Weller, Ian Holm, Roy Scheider, Judy Davis. 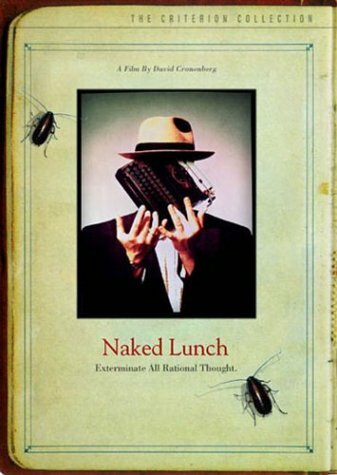 A drug-addict writer, who is an exterminator part-time, accidentally kills his wife and then hallucinates that his typewriter has become a giant cockroach in this bizarre over-the-edge tale. 1991/color/115 min/R/widescreen.